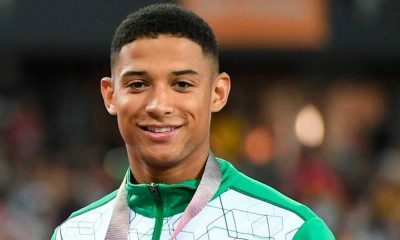 Maria Lyle clinched silver in the 100m T35 on day four of athletics at the Commonwealth Games, with Dina Asher-Smith, Zharnel Hughes, Bianca Williams and Leon Reid booking spots in the 200m finals. 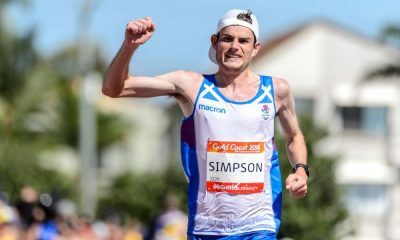 Scottish teenager Lyle took the only home nations athletics medal in the Carrara Stadium on Wednesday (April 11), winning silver in the 100m T35 final behind Australia’s world record-holder and winner Isis Holt, who clocked 13.58. 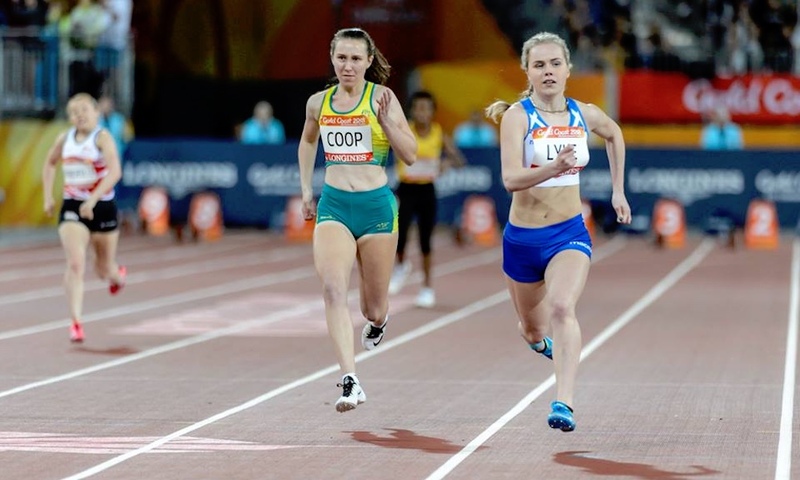 Lyle’s time of 15.14 was well outside her UK record but was strong enough to see off eventual bronze medallist Brianna Coop of Australia. England’s Dina Asher-Smith and Zharnel Hughes qualified impressively for the 200m final. 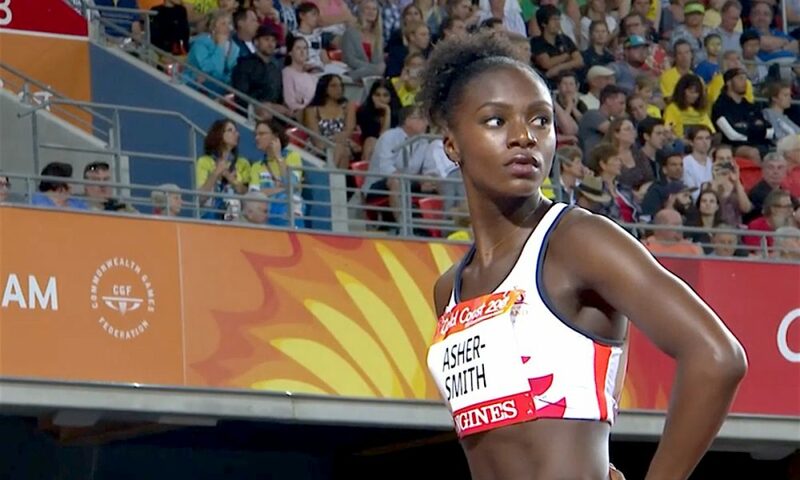 Asher-Smith led for most of her semi-final before easing up and being passed by Jamaica’s Shericka Jackson. Her time of 22.44 behind the winner’s time of 22.28 suggests her UK record of 22.07 could be under threat in the final, where she will also face Olympic 200m and 400m champions in Elaine Thompson and Shaunae Miller-Uibo. “I was running well, obviously you want to go and win a semi-final and put down a good time, but I eased off,” she said. “It’s easy to get into a battle, but I had this thought in the back of my mind that it’s only a semi-final. England’s Bianca Williams was third in her semi-final with 23.23 but it was enough to qualify her as a fastest loser. Team-mate Finette Agyapong was also third but, with 23.38, will progress no further. Northern Ireland’s Amy Foster was last in her semi with 24.02. 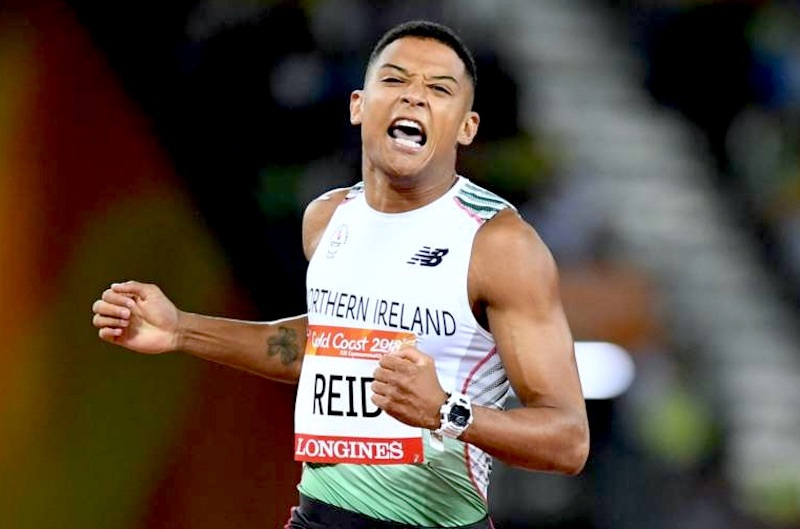 Hughes looked easy as he won his semi-final in 20.37, while Northern Ireland’s Leon Reid placed second in his race in a season’s best 20.61. 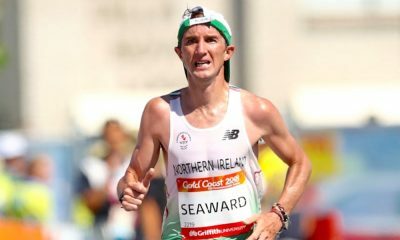 The Northern Ireland sprinter, who has been sharing his journey this year on Fast Running, came from fifth place to clinch the second automatic spot behind Trinidad’s Jereem Richards in his semi-final, qualifying as the sixth-fastest overall. 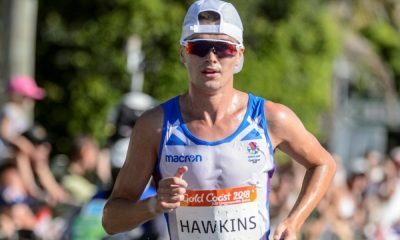 “I managed to come through in the end and I’m ready to go now,” he said. “I held my position and got the job done. I’ll now approach it the same as any other race. I’ll recover and go again. “I’m happy. My mum is here. My family is here. I’m glad they were able to see it, especially on this night when there is nearly a full house. Earlier England’s Rosie Clarke was fourth in a 3000m steeplechase surprisingly won by Jamaica’s Aisha Praught. Clarke ran 9:36.29, which was within five seconds of her PB. “I thoroughly enjoyed that,” reflected Clarke afterwards. “Me and my coach decided that whatever happens, just go for it and don’t leave anything out there. I definitely did that. Her performance was a little overshadowed by a great race at the front as Praught overhauled favourite Celliphine Chespol, who went into the last lap with a lead of more than two seconds. The Kenyan, who is the second fastest in history, still led by more than five metres with 200m to go, but Praught had the momentum on the last water jump to pass her rival before the final barrier. Running 9:21.00, she is Jamaica’s first medallist in at the Commonwealth Games in an event longer than 800m. Behind Chespol’s 9:22,61, Kenya’s Purity Kirui was third in 9:25.74. England’s Iona Lake was eighth in 9:58.92, two places ahead of Scotland’s Lennie Waite (10:21.72). The only other running final in the session, the women’s 400m, ended with victory for Botswana’s former world champion Amantle Montsho, who regained her 2010 title. Jamaica’s Anastasia Le Roy set a PB of 50.57 for silver as she beat countrywoman Stephenie-Ann McPherson (50.93) into the bronze medal position.